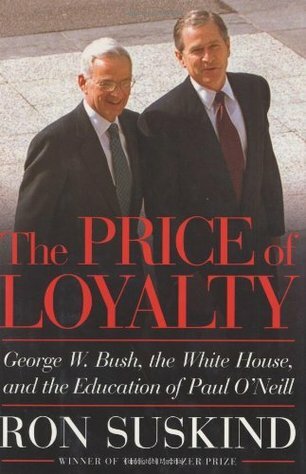 Author: Ron Suskind; Format: Hardcover; ISBN: 0743255453; Publisher: Simon & Schuster; Copyright Date: 2004; List Price: $26.00; Length: 348 pages. Condition: Good. Jacket and cover are both still in overall great shape, and binding is strong. About a dozen pages have underlining and written notes in margins. Same cover design as that shown here. The Pulitzer Prize-winning journalist provides a provocative odyssey behind the scenes of the White House to reveal the inner operations of the administration of George W. Bush, furnishing a close-up view of the president and his advisors as they develop key domestic policies and global strategies. Inquiries from all shoppers are responded to promptly and courteously. Buyers are encouraged to ask questions prior to placing orders, as all sales are final unless the product you receive differs significantly from that which was advertised here in terms of either the product itself or its promised condition. Exceptions are made only in the event that a buyer is willing to return at his or her own expense an unopened, BRAND NEW item for a refund of the original purchase price only. No original shipping costs will be refunded, unless we are at fault for sending you the wrong item or misrepresenting the product and/or its condition. This hasn’t happened yet, but if it does: you are guaranteed a refund of the purchase price, the original shipping fee, PLUS the cost to ship the item back to us.